Singapore has become witness to a local controversy of sorts in local governance and management. The Aljunied-Hougang-Punggol East Town Council (AHPETC), was recently flagged by the Auditor-General after having done an audit on the AHPETC’s accounts during the period of the Financial Year of 2012-2013. The Auditor-General released a 17 page report to the public where it stated that the AHPETC had been found to have lapses in “governance and compliance.” The AHPETC said that they would respond to the report on the following Saturday and urged the public to look beyond the headlines and verify all the facts and details of the report and the issues before making any conclusions. 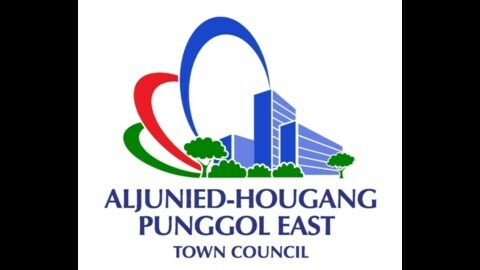 AHPETC was created when the Aljunied, Hougang and Punggol East Town Councils merged together and formed the AHPETC. The Auditor-General’s Office (AGO) interviewed several of the AHPETC staff and reviewed and studied various files, cases, and documents of the AHPETC before submitting its final report on Feb 6. Finance Minister Tharman Shanmugaratnam authorized the Auditor-General to begin auditing after the town council’s own independent auditor noted certain concerning issues that warranted the auditing. The issues of concern were raised in a disclaimer of opinion regarding the town council’s FY2012-13 accounts. This was actually 4 more than the areas of concern raised in the previous FY2011-12. This increased areas of concern warranted the auditing to be directed by the Finance Minister. The Town Council Rules stated that money would be transferred to any sinking bank fund accounts but this was not done. 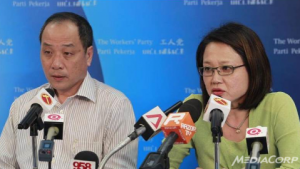 There were oversights on party transactions involving ownership of certain key officers. This resulted in the integrity of the payments being compromised. There was no system to manage arrears of conservancy and service charges. Poor internal controls resulting in loss of valuables and mismanaged payments and overspending. There was also no system in place to safeguard important documents. In summary the report of the AGO stated that the AHPETC failed to comply with current Town Council Rules. The rules in place clearly stated that sinking funds were to be maintained separately by Town Councils. This was in line with improving and maintaining current town properties. The report also stated that AHPETC failed to make the needed transfers to fund bank accounts that were sinking and needed to stay afloat. They failed for the previous three quarters. While some transfers were made, they were made too little and too late to make a difference. The best way that a company gets the right accounting systems that it needs hrough outsourcing. Outsourcing provides the company with the best options possible on all fronts. If the business owner personally hired the accountant, it would usually be time-consuming and expensive. Aside from having to personally train the accountant, the business owner would have to monitor and manage the staff, all while paying attention to paying the staff the right salary along with the proper benefits. With outsourcing, all these concerns are easily sidestepped, but the quality of the accounting service is not diminished. If anything the company gets the best accounting possible and expert service. Everything is done in accordance to the financial standard for submission to the government. The incident highlights a fact that has always been there from the start. A business needs the proper accounting for it to run smoothly, make profits and continue to grow. Accounting is just something that is essential for a business and outsourcing is the best way to get it done right. JM Management is one of the best and most professional accounting firms in Singapore. They provide the best accounting services in Singapore. JM Management specializes in all the accounting services mentioned above and in their 4 in 1 package which includes Bookkeeping, Accounting, unaudited financial statement and taxation.